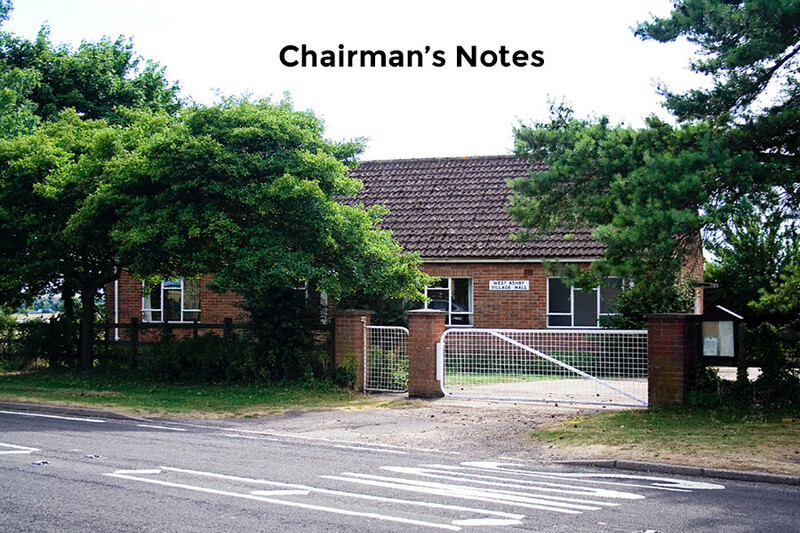 The idea of the ‘Chairman’s Notes’ on line is to save valuable time at the start of the meeting. We would also like to keep the tea break to a strict 20 mins. A change to the way we draw the raffle will also save some time and will be trialled tomorrow night. All raffle prizes will be numbered at the start of the evening. The tickets will then be drawn along with a numbered disc randomly picked from a bag that will match one of the prizes. The winning ticket will then be attached to the prize and so on until all prizes have been drawn. The numbers drawn will be read out at half time, so that the winners can then collect their prize on the way out. Thank you in advance for your co-operation. It’s nice to see Martin Pidgen is making a good recovery and is back selling his wood. We wish him well. 21 members enjoyed a pleasant and informative demonstration by Rick Dobney last Saturday. As well as being a talented turner Rick is able to pass on his knowledge in a very relaxed manner. Excellent value at £10 per ticket. It was however, rather disappointing to see so few members attending when we have nearly 70 members on the books. Therefore I have to ask, do you want all day demos or not in the future? Please let me know your thoughts. Don’t forget to purchase your tickets for our next all day event on Saturday October 20th. Emma ‘The Tiny Turner’ – always entertaining. Members £10, Guests £12. We are continuing to attract some good prizes for our grand draw in aid of the Lincs & Notts Air Ambulance which will take place at the Midlands Woodworking Show, Newark Showground in March 2019. Martin has arranged a deal with the Lincolnshire Aviation Museum who have agreed to give Family tickets in return for us producing two replica shells for their museum. The wood has been donated and John Liles has kindly agreed to produce them. The owners of the museum have agreed to a presentation in front of their Lancaster which can only mean good publicity for the club. Martin has also acquired a wooden model of a Lancaster worth £95. Well done Martin. We have also received a Drill Press from Record Power. We still need more prizes, so why not use your local contacts to see if they will help. We have some flyers which you may find useful – these are available from the desk. Our Club Shop is now a collection point for discarded clothing, bedding, shoes and handbags!! This is in aid of the Air Ambulance who receive £400 per ton, so it can make a valuable contribution. Don’t forget to visit our club shop for a full range of finishing products and much, much more. Mick is continuing to add new products all the time. We still need more members to sign up for the first aid training, the cost is £40 per person and you receive a certificate which lasts three years. The £40 fee is donated to the Air Ambulance. We have a few places left on our ‘in house’ training day at £6/hour max two hours per person. 5/6th May – Makers Central, NEC Birminham, Early bird £20, Normal £25. 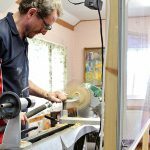 15th May – Lincs Association of Woodturners (Leasingham), Steve Heeley. 19th May – Snainton Woodworking, Sue Harker, David Lowe. 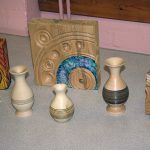 11th June – North Lincs Woodturners Association, Chris Fisher. 11th Aug – Turn East 2018, the 14th East of England Woodturning Seminar, Ticket Only. Our guest turner for the April 24th Meeting is Richard Finley. Good evening I have just taken a few moments to read Chairmen’s Notes 24 Apr 18 and would just like to say that I think this is a good idea. Also the new raffle method I have seen used before and it does save a lot of time. Thanks Brian for responding and taking the time to read it. Hopefully it will reduce the talking time and give more turning time. I like the idea of the Chairman’s Notes by email. Personally I would prefer evening demonstrations rather than full days.